﻿ Riad Chennaoui Marrakech. JIMAT di Agoda.com! Ada soalan mengenai Riad Chennaoui? Bagi para pelawat yang ingin menikmati sepenuhnya pengalaman di Marrakech, Riad Chennaoui merupakan pilihan tepat. Hotel ini tidak terlalu jauh dari pusat bandar: hanya sejauh 1.0 km, dan kebiasaanya mengambil masa kira-kira 15 minit untuk sampai di lapangan terbang. Juga terletak berdekatan adalah Dar Si Said, Istana Bahia, Maison Tiskiwin. Kemudahan dan perkhidmatan yang disediakan oleh Riad Chennaoui memastikan penginapan yang menyenangkan bagi para tetamu. Khidmat bilik 24 jam, Wi-Fi percuma semua bilik, fasiliti tetamu kurang upaya, Wi-Fi di tempat awam, tempat letak kereta merupakan beberapa kemudahan yang membezakan Riad Chennaoui daripada hotel-hotel lain di bandar. Semua bilik tetamu menawarkan pelbagai jenis tahap keselesaan. Banyak bilik turut menyediakan internet wayarles, bilik larangan merokok, penyaman udara, pemanas, panggilan kejut untuk memuaskan hati tetamu. Di samping itu, pihak hotel menawarkan aktiviti rekreasi untuk memastikan anda mempunyai perkara untuk dilakukan sepanjang penginapan anda. Riad Chennaoui adalah destinasi sehenti anda bagi penginapan hotel berkualiti di Marrakech. I've stayed there twice with different family members and in big groups. I've made friends with the lovely riad owner, Sanna, and her father, Mohamed who despite my terrible arabic and not being able to speak french, we are able to somehow understand each other and for her to cater to my needs. 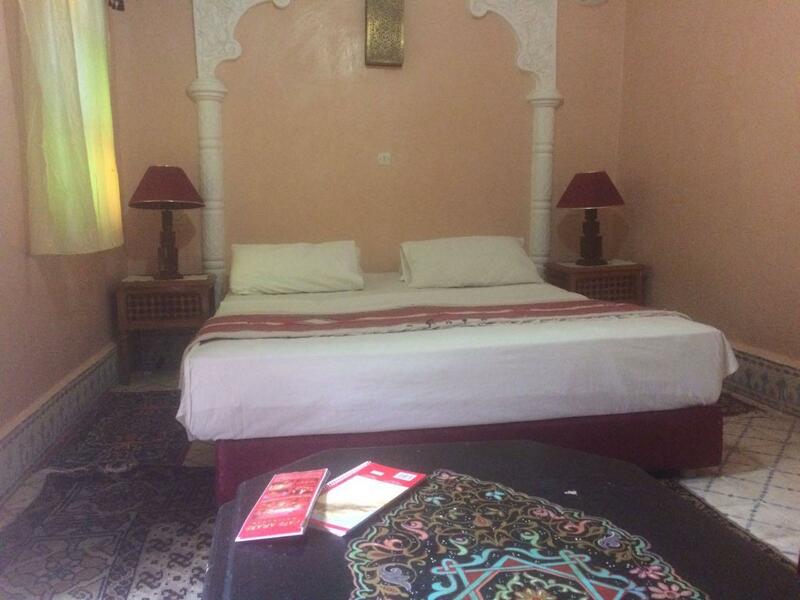 The riad however has hollow walls so every move other guests make at night, can be heard by the whole riad so if you need a peaceful sleep at night then this riad might not be suitable. and the toilet might be small for bigger size guests. however, for the price i pay, i am satisfied with the service and friendliness as well as the ease of access to the medina. 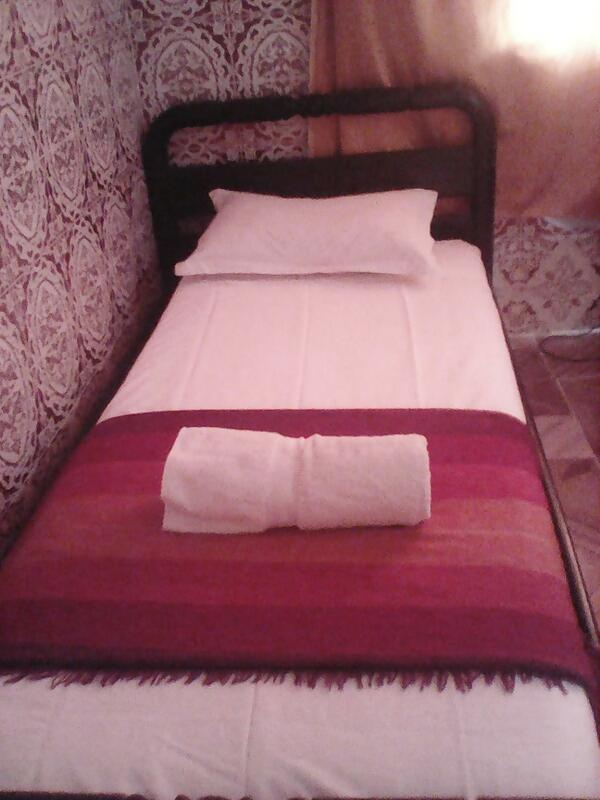 A welcoming place for the inexperienced Moroccan traveler. As a young English couple we found this Riad very friendly and helpful. We were given good guidance in terms of excursions such as going to the nearby waterfalls in the Atlas mountains and an overnight Sahara trip. Both trips were fairly reasonably priced and permitted us a break from the busy and sometimes stressful city centre of Marrakech. The family who own the Riad only spoke in Arabic and French so those who only have English up their sleeve may struggle communication-wise. 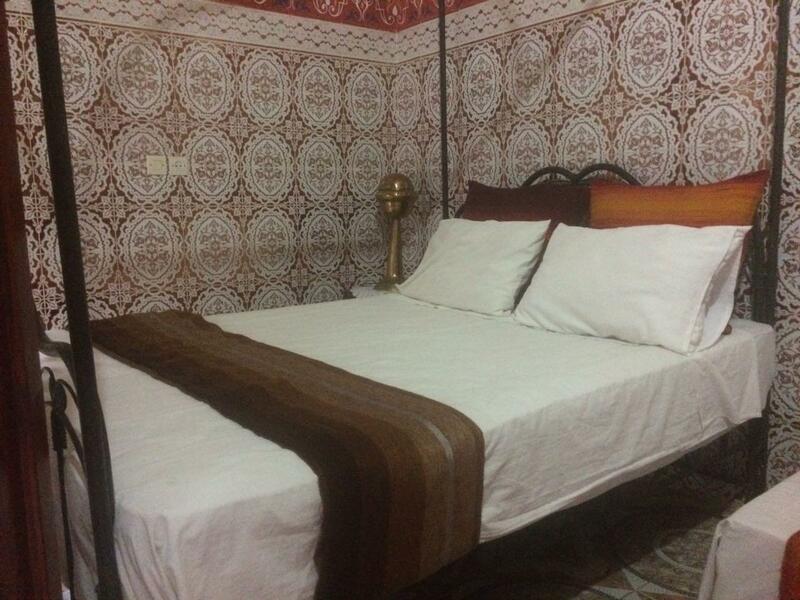 We would definitely recommend this Riad for single travelers, couples and families alike. 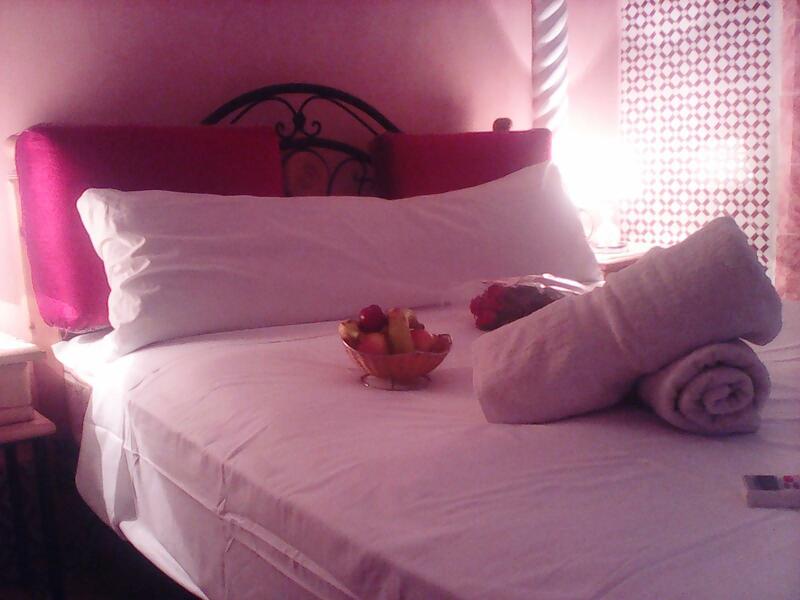 Location is great, about 10 min walk from El Fnaa Square, nice view on the roof of the riad with lounge area. Wifi available! Bathroom is not very well constructed but fully functional. our stay surpassed by a lot our expectations. it was an enchanting experience. the rooms are as shown in the pictures, it had all we needed. the extras were the lovely people running the riad, the home made breakfast every morning, the beautiful setting. 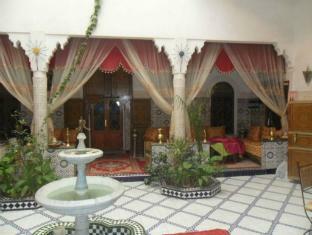 although it was quite hot during our stay, the riad was always nice and cool. the room had a/c but we didn't need to use it. the riad has also tours at very accessible prices, we weren't able to go for one but we are planning to come back and hopefully stay at the riad again and take a tour or two. sauberes, einfaches und nettes riad! familiengeführt. frühstück mit hausgemachten marokkanischen pfannkuchen...lecker!! Tutto sommato per il breve periodo del mio soggiorno positivo anche se la posizione del riad è di difficile localizzazione.Unica pecca è la stanza al piano terra umida e scura con igienici non perfettamente funzionanti. La habitación sufieciente para lo necesario, limpia y cómoda. Ahí mismo puedes comprar tours a buen precio. El personal muy atento y dispuesto pero no habla español y muy poco inglés. Es difícil ubicarlo si no conoces pero alguien te puede llevar por una propina. Cuidan tus maletas sin costo y son muy atentos..
accueil chaleureux dans ce riad qui reflète bien l'architecture marrakchie (très belle cour intérieure). proche du quartier des palais (palais el badi, tombeaux saadiens , palais de la bahia) et à 5 - 10 minutes de la place jemaa el fna. si vous cherchez à partager ne serai ce que pour 2 ou 3 jours la vie des habitants de cette ville ce riad est d'un bon rapport qualité prix ... le dépaysement est total.